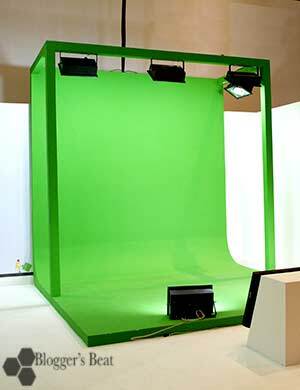 However, the products required to make a green screen can be very cost prohibitive, especially if you are just starting out and are on a very tight budget. And in my case, if you are a total DIYer who wants the most bang for the least buck, this is right up your alley. 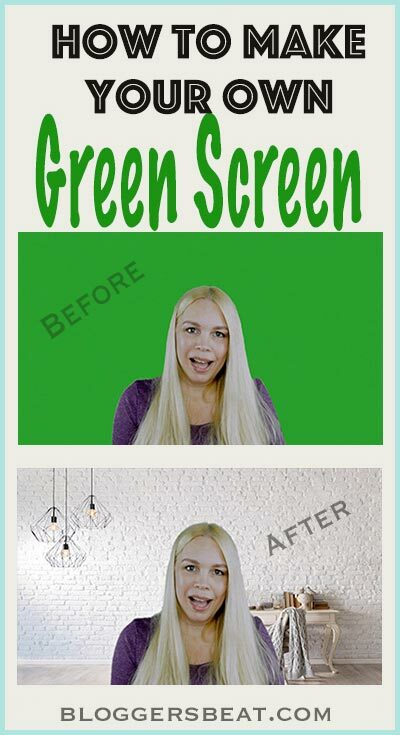 If you are unfamiliar with what a green screen does, well… basically, it allows you to make a background become anything that you want it to be. I use Photoshop for all of my photo editing and Final Cut Pro X for all of my video editing. Most other editing software will work the same, but the basic concept is that you isolate the green color (this is called keying) and then, drop in whatever background you want. By some form of magic, the green is completely replaced with your new image. Just to provide you with an example of what can be done, I used my green screen to record my Youtube trailer. Then, I replaced the green screen using Final Cut Pro X, and dropped in the brick wall background that you see above. Pretty cool, huh! My backdrop measures 4′ x 6′, but you can make one as large or as small as needed. You can even paint an entire wall, if that is something that you might need. I only wanted a landscape sized green screen, so 4′ x 6′ works for my situation. As you can see in my Instagram clip, it didn’t take too long to make it. 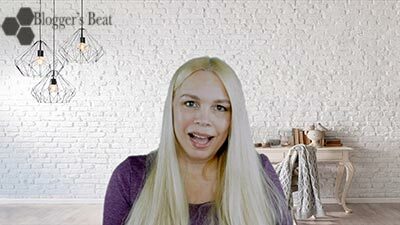 So, how did I go about making this green screen? Well, the first step was to determine what paint color to use. They have green screen paint* that is available, but at a very hefty price. So, I wanted to mimic the product, but with a much cheaper brand of paint. The most important thing to know about a green screen is that it shouldn’t have any red value, or at least not that much. 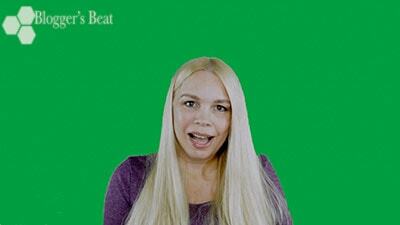 Skin tone has a lot of red in it, so a good green screen needs to be completely without red. Otherwise, the keying may distort or grab pixels from your skin. Another important thing to remember is that lighting plays into your color choice A LOT. A true green would have RGB values of something like 0,255,0. However, that is way too intense for me and most lighting situations. I find that with such an intense luminance, there is an issue of it overtaking the details, like those fine hairs that reside in the fringe area of a photo. Being a blonde, I experience this more than someone with darker hair. So, I decided to go with a shade that has less luminance and one that incorporates a touch of blue. (If that all sounds a bit too technical, just stay with me for a moment longer). According to Pantone’s color chart, I was able to determine that Pantone’s chroma green is around 354C, or according to them a hex number of 00b140. I will say that when I go into my Photoshop and choose Pantone’s 354C, it is actually showing me a hex number of 00af43. I also took into consideration that a popular choice for DIY green screens is Behr’s Sparkling Apple, which does have some red in it. Since there are a lot of DIYers out there who have had good success with this shade, that tells me that I may be okay with a small percentage of red in the color that I choose. However, I want to still keep it below 10% with a high saturation of green. With that in mind, I ended up taking these, and several RGB values that were very close, and searching for matching paint colors. To determine a color swatch for an actual brand of paint, I took the hex number and did a search on Encycolorpedia.com. After several hours of checking values, I finally decided on Benjamin Moore’s Neon Green. I took the paint sample with me to Lowe’s and had them color their Valspar flat interior paint to that shade. As I said, Behr’s Sparkling Apple is a popular choice. I almost went with Benjamin Moore’s Traffic Light Green before deciding on the Neon Green. So that is a color that you may want to consider, as well. Also, keep in mind that a few of these colors may not actually be available on the paint chip wall. So, just ask the mixer for the color, if you don’t see it. They should still have it in their system. For my backdrop material, I decided to use hardboard (that stuff that looks like pegboard without the holes). I could have just painted the wall, but I don’t use my green screen for everything. In fact, it’s not even the one that I use the most. So, I didn’t want to ruin my wall. I could have also painted some canvas and used that for the backdrop. The only reason that I didn’t was that I didn’t want the variations in color that might come from the shadows in the texture. But, if you want to use canvas for a backdrop, I recommend just getting an untreated canvas drop cloth. * They paint well and are a nice size if you want a full size backdrop. One other piece of advice that I wanted to pass on to anyone that is new to using a green screen, remember that you can’t wear green clothing or anything else that is green. The keying process will strip away all the green color, including your clothes. So, if green is your choice of color, you may want to look into making a blue screen instead. Oh, and make sure you use flat paint. You don’t want to have a sheen at all, or the light reflections will cause the keying process to react strangely. I bought one quart of paint for my screen, and it was the perfect amount for three coats. Larger surfaces will require a full gallon.